Talk to a lawyer for Free 24/7 (314) 361-4242 : We help people throughout Missouri bring lawsuits for serious injuries and wrongful deaths caused by motor vehicle accidents. We understand the amount of stress that you are under. We are ready to handle all of the legal details so you can focus on your health. St. Louis car accident attorney Christopher Hoffmann has been practicing personal injury law for more than 15 years. By focusing his practice primarily on serious accidents, he understands how to investigate the cause of car accidents, how to assess the value of your claim and how to deal with car insurance companies. You can rest assured that he will work hard to obtain the maximum compensation for your injuries and losses. Car accidents: We represent St. Louis auto accident injury victims and victims of Illinois car accidents. Whether you were hurt in a head-on collision, a rear-end crash, a rollover accident, a T-bone crash or a hit-and-run collision, we work hard to prove the other driver’s negligence and to document your serious injuries. 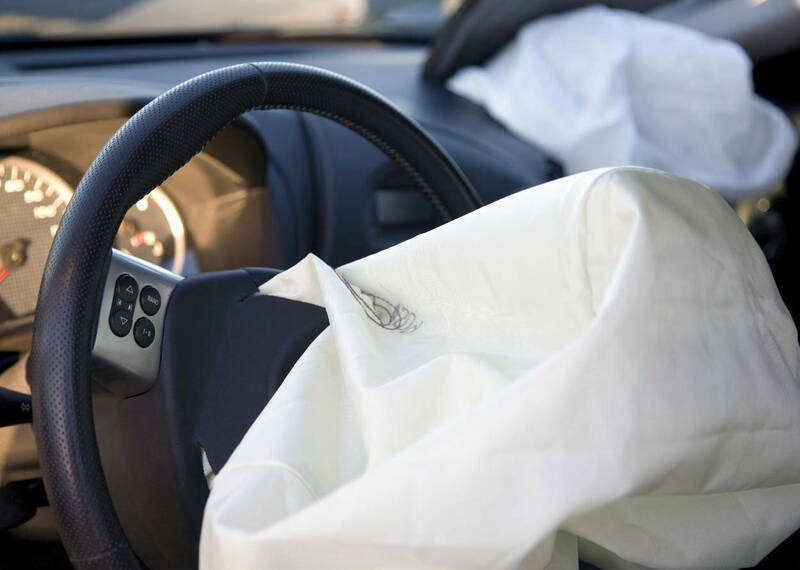 Car accidents resulting in death: Many accidents result in the tragic loss of a loved one. We provide experienced counsel to anyone who suffered the wrongful death of a loved one in a car accident. Car accidents resulting in injuries to children or passengers: The Hoffmann Law Firm represents passengers who were seriously injured in car accidents and helps parents recover compensation for injuries to their child. Drunk driving accidents: The Hoffmann Law Firm represents motor vehicle accident victims and families who have lost a loved one because someone was driving under the influence (DUI) or driving while intoxicated (DWI). Distracted driving accidents: We are skilled at obtaining compensation for clients who are involved in crashes where the other party was texting, talking on the phone or otherwise driving recklessly. Accidents in construction zones: Construction zones are frequently the sites of car and truck accidents. St. Louis personal injury lawyer Christopher Hoffmann understands the complexities involved in pursuing a claim for a construction zone accident. Motorcycle accidents: It is the responsibility of everyone on the road to be aware of others around them, including bikers. We don’t let car or truck drivers get away with careless driving that causes broken bones and traumatic brain injuries to motorcyclists. Bus and taxi accidents: We represent bus riders; passengers on light rail trains, taxis and shuttle buses; children on school buses; and other drivers injured in St. Louis bus and taxi accidents. Bicycle accidents: We represent adults and children who were injured in bike accidents caused by a car or truck. Pedestrian accidents: Our skilled St. Louis attorney represents walkers and joggers struck by cars, including those who were hit while in crosswalks. Truck accidents: When necessary, attorney Hoffmann works with investigators and accident reconstructionists to determine the exact cause of the truck accident. He understands how to succeed in cases involving tractor-trailer crashes, fire truck accidents and semi-truck wrecks. Our law firm is dedicated to maximizing your compensation. We examine all possible avenues of recovery, including your own car insurance policy if you were hit by an uninsured or underinsured motorist. We also help our clients with unfair insurance claim denials and insurance bad faith. If you were seriously injured in a car accident, contact us at (314) 361-4242 or toll free (866) 763-6433. You can also fill out our online contact form. Your initial consultation is always free, and you never pay attorney fees unless we recover compensation for you.